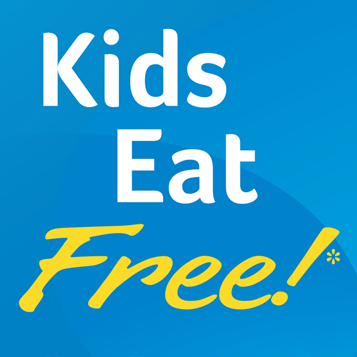 Maxol A26 Tannaghmore will be offering Kids Eat Free* with any adult purchase of £5 or more. This offer will be valid from 1st January until 28th Febraury 2019. Each of it's four franchisees - Moreish, Chopped, Abrakebabra and Ground Coffee will have indivual offers available in store. For full terms and conditions please see below. One free Kid’s meal per adult purchase of £5 or more. One child can avail of offer per purchase. Child must be present in store at time of purchased. Offer includes 2 sausages and chips (Childrens’ portion) and bottle of Spar 500ml water. Offer available for kids up to 12 years old. Offer available at Maxol A26 Tannaghmore only from 1st January until 28th February 2019. Not valid with any other offers. One free Kid’s meal per adult purchase of £5 or more. One child can avail of offer per purchase. Child must be present in store at time of purchased. Offer includes option of Mini Ham & Cheese Wrap, Mini Tofu Salad Wrap, Mini Chicken & Cheese Wrap, Mini Ham Salad Bowl, Mini Roast Chicken Salad Bowl or Mini Falafel Salad Bowl with one piece of fresh fruit, a juice carton and Chopped Bella Boost Bites treat. Offer available for kids up to 12 years old. Offer available at Maxol A26 Tannaghmore only from 1st January until 28th February 2019. Not valid with any other offers. One free Kid’s meal per adult purchase of £5 or more. One child can avail of offer per purchase. Child must be present in store at time of purchased. Offer includes option of Juniors Chicken Bites, Juniors Regular Burger or Juniors Sausage Meal with fries and kids juice or soft drink. Offer available for kids up to 12 years old. Offer available at Maxol A26 Tannaghmore only from 1st January until 28th February 2019. Not valid with any other offers. One free Kid’s meal per adult purchase of £5 or more. One child can avail of offer per purchase. Child must be present in store at time of purchased. Offer includes toast and babychino. Offer available for kids up to 12 years old. Offer available at Maxol A26 Tannaghmore only from 1st January until 28th February 2019. Not valid with any other offers.